Oh what fun we have when the Dolls from Stila come to visit us! From California to New York City...they rocked our clients with their charm and talent! 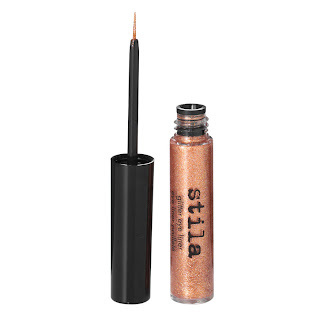 Stila was created in 1994 by celebrity makeup artist, Jeanine Lobell and is now owned by Lynn Tilton. Lynn owns 75 companies and is passionate about creating jobs for people in the USA. 'A Woman's Work Is Never Done' | Video - ABC News Oh, and she's a Jersey Girl! Here I am, on the left, with celebrity makeup artist and global creative director for Stila, Sarah Lucera. Sarah is friendly, down-to-earth and quite an extraordinary artist. Love her energy! Sarah is the personal makeup artist to Victoria Beckham, so it was quite a treat to watch her create magic on one of our lucky clients at Sephora NYC. 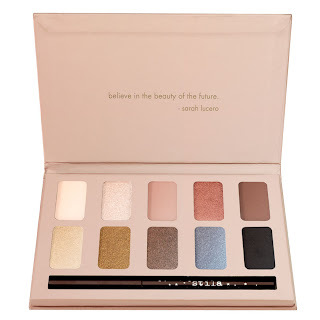 Apply Prime Pot to lids..
*This Palette is available at Sephora for $39.00 and is called "In The Light". Included are 10 eyeshadows and one full sized dark brown smudge crayon. 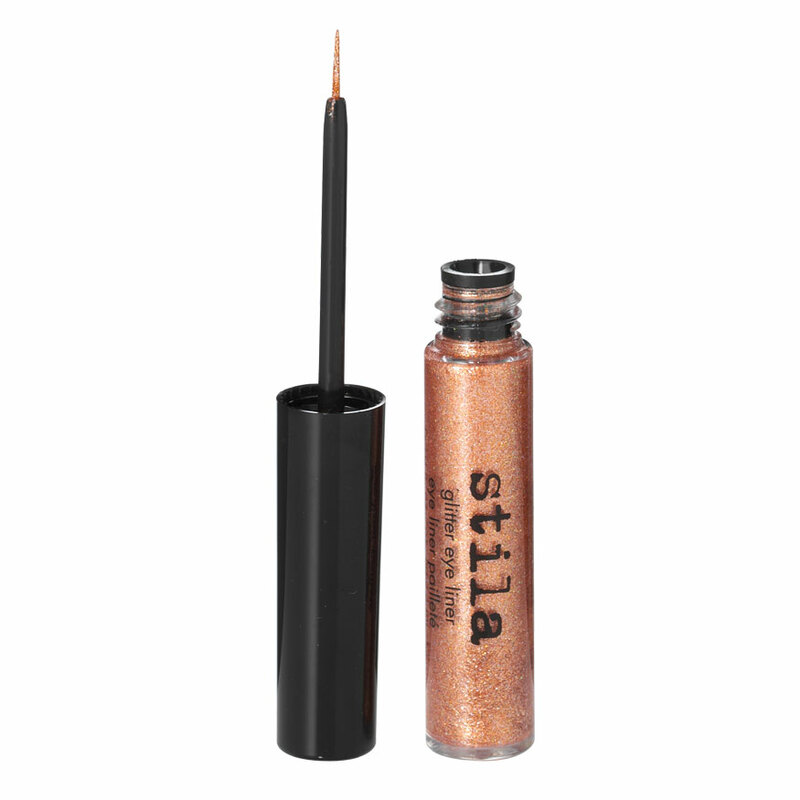 Mix a shiny light shadow (Kitten) with a matte light shadow (Bliss) and apply to the base of the eyelid.. 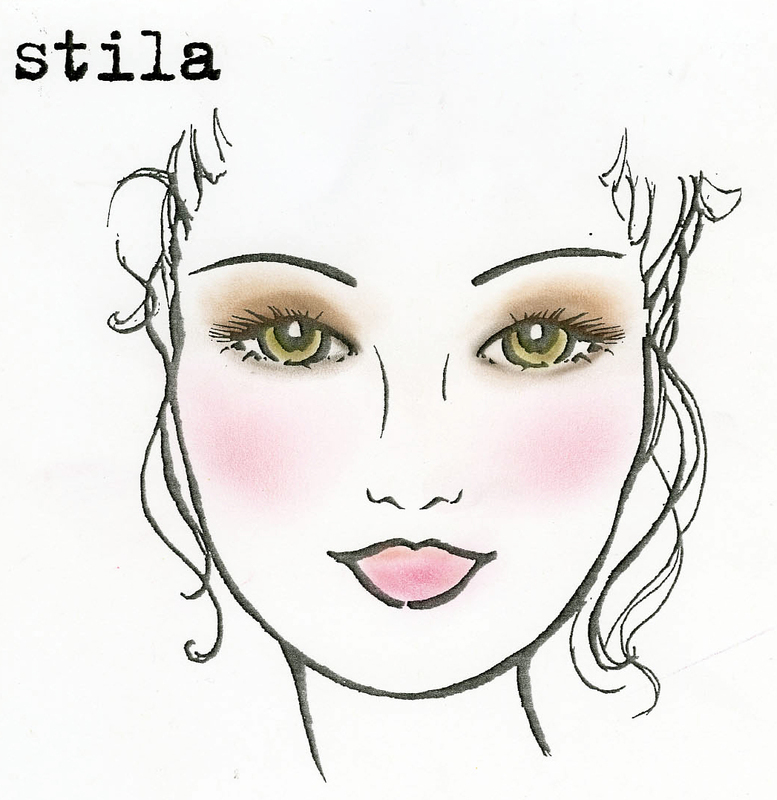 Coat lashes with black mascara..
And there you have the classic Stila Doll Eye! 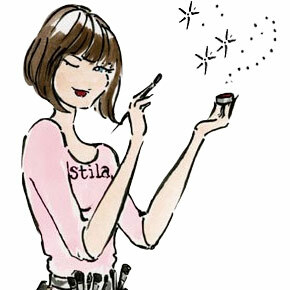 *Fun Fact: The name STILA comes from the Italian word STILARE, which means "to pen". 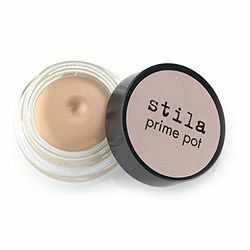 The original creator of Stila wanted the name to reflect her feelings that every woman's makeup should be as individual as her signature! Pretty Cool!